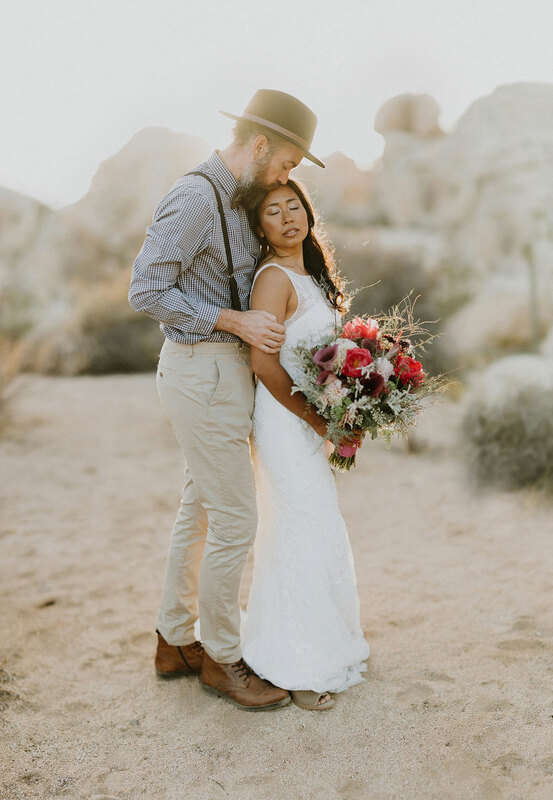 Where do I even begin with these two? 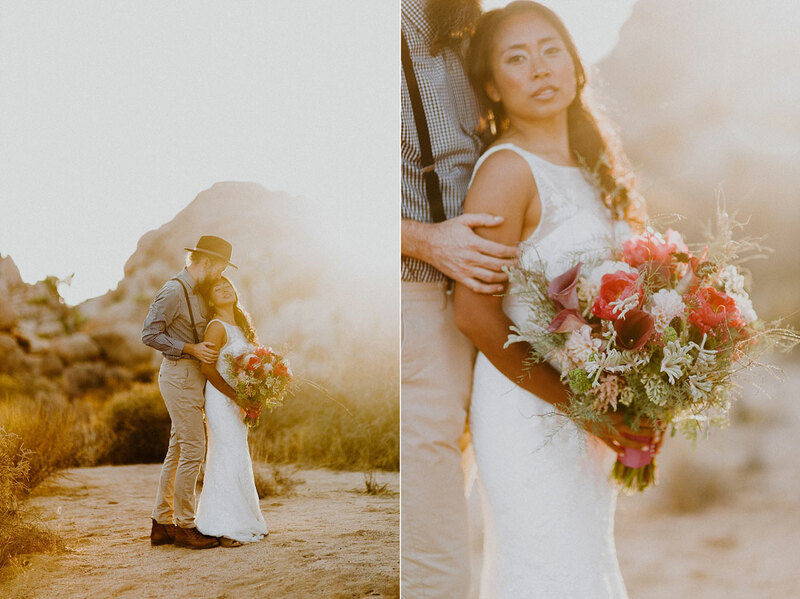 Married for years with two children and a million memories, Bernadette and her husband Fritz commemorated their most recent wedding anniversary with a styled anniversary session complete with a gorgeous gown and striking floral arrangement. 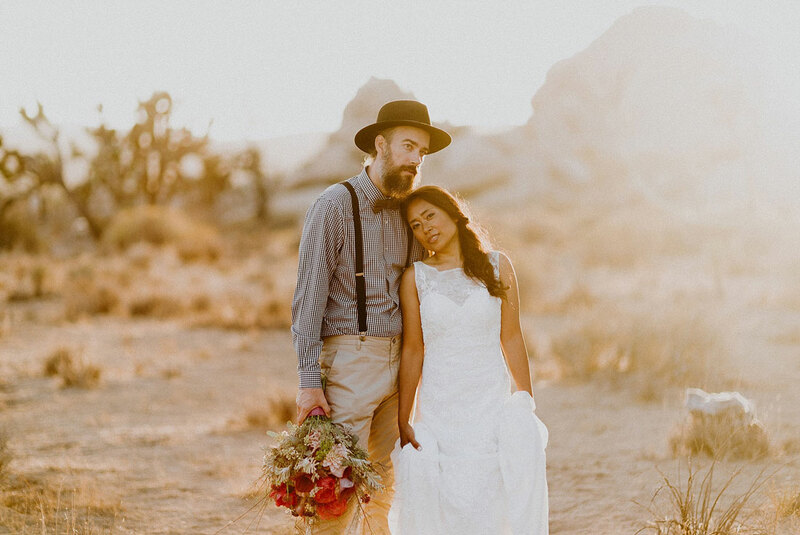 Needless to say, it was amazing. 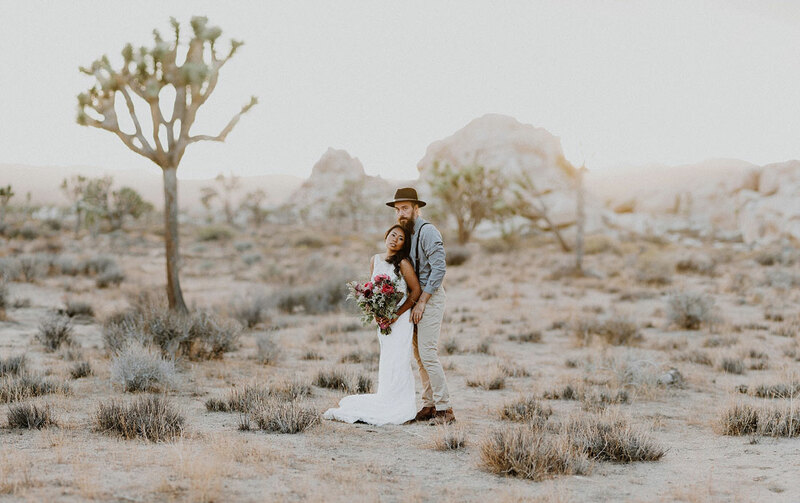 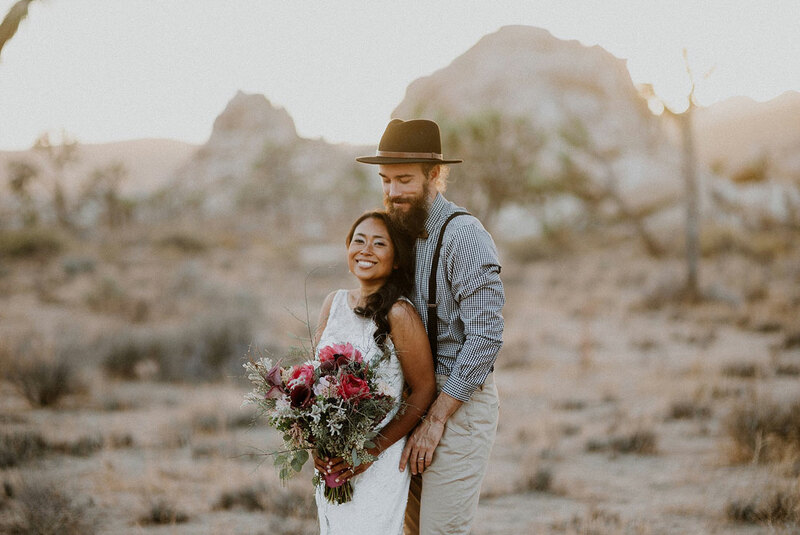 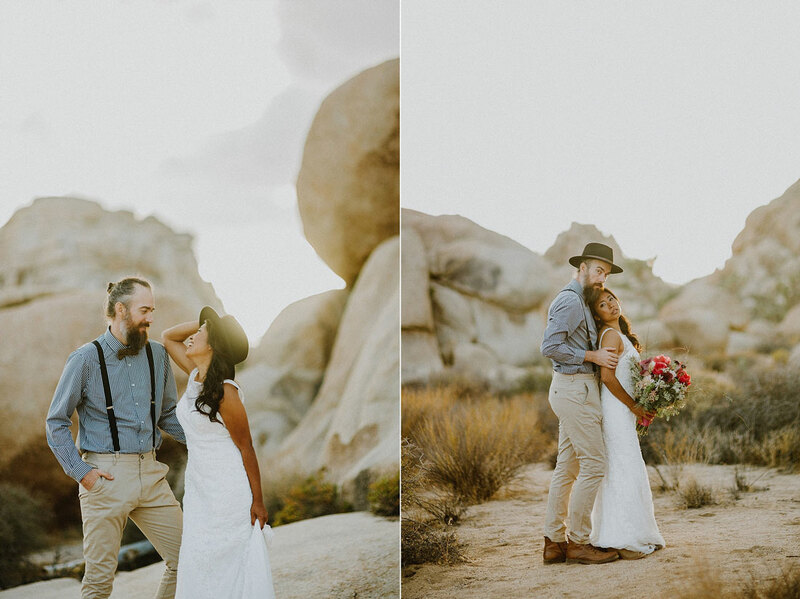 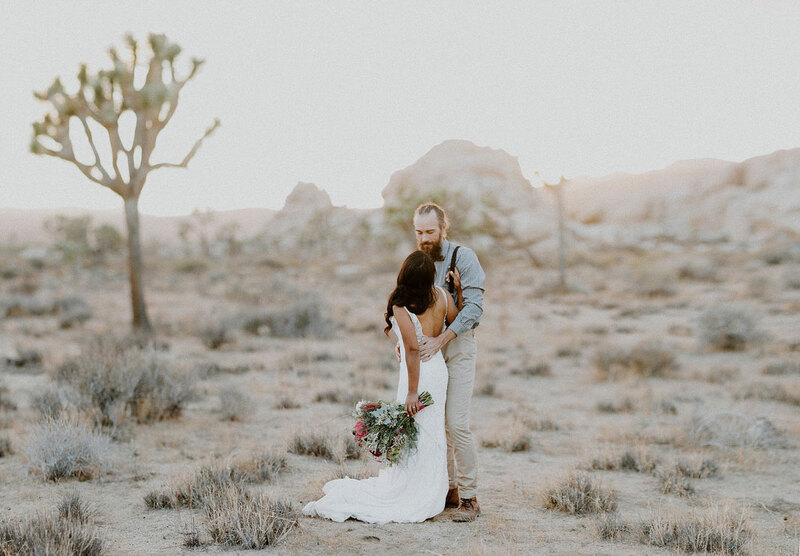 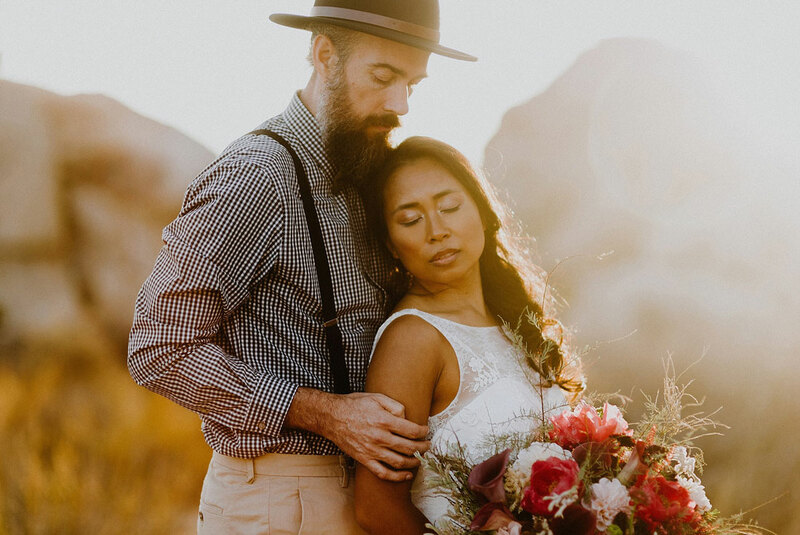 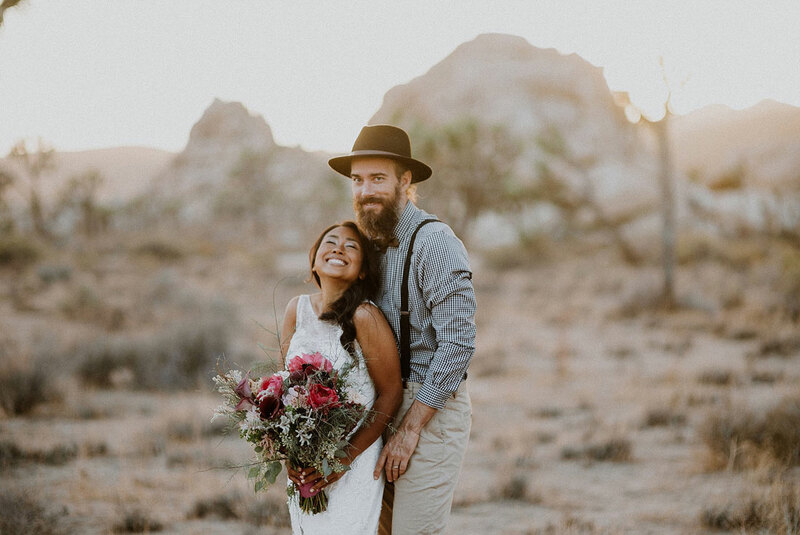 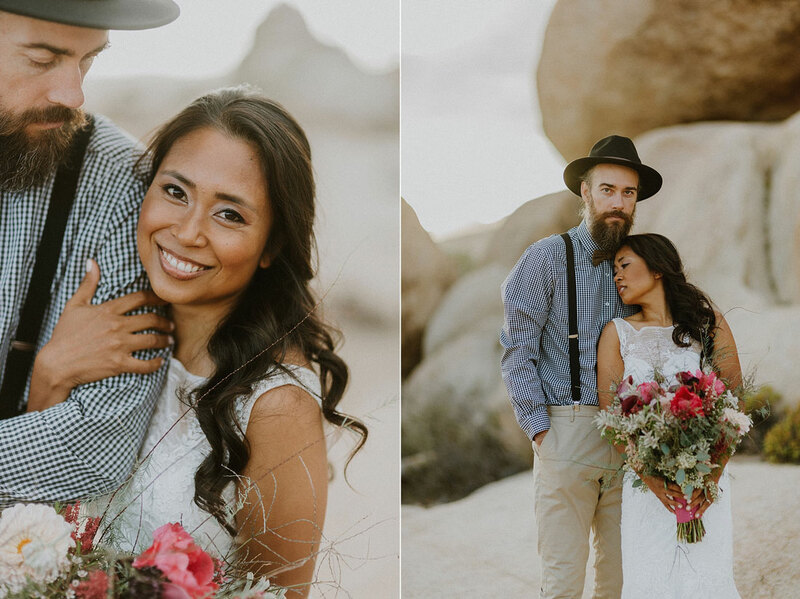 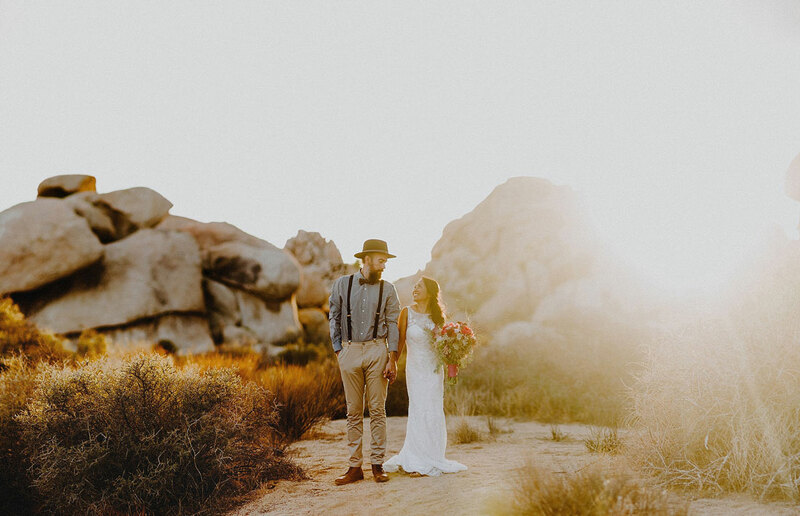 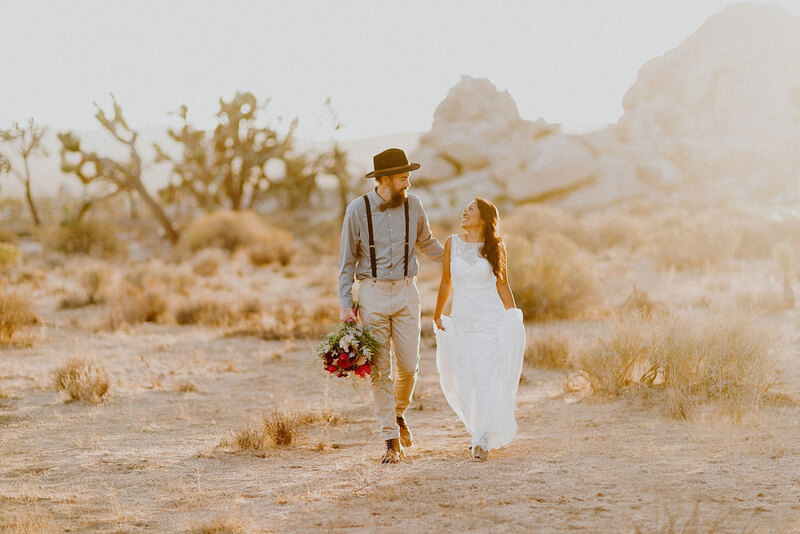 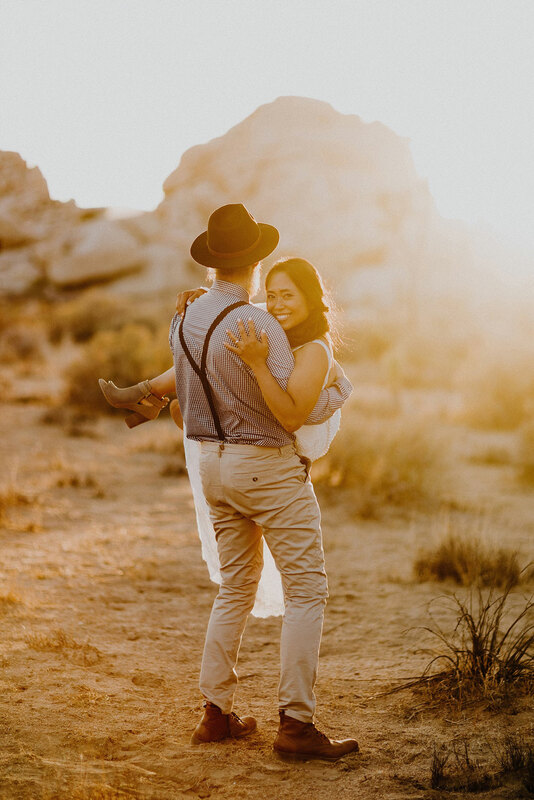 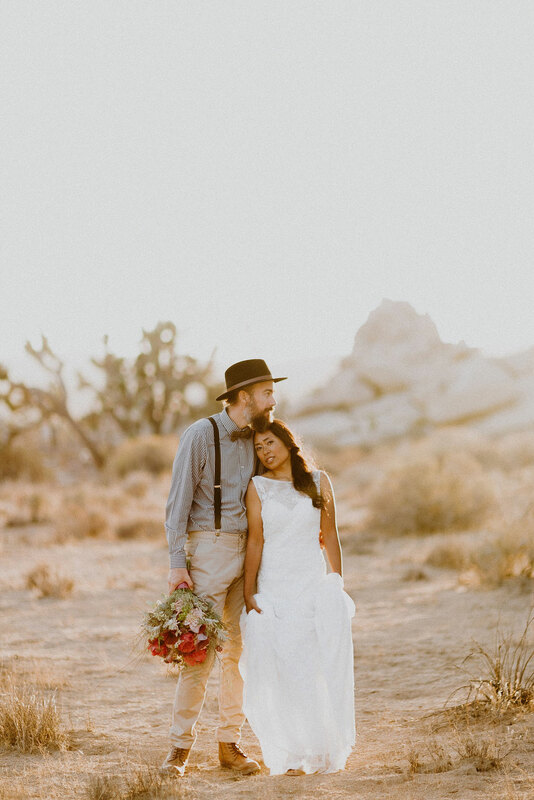 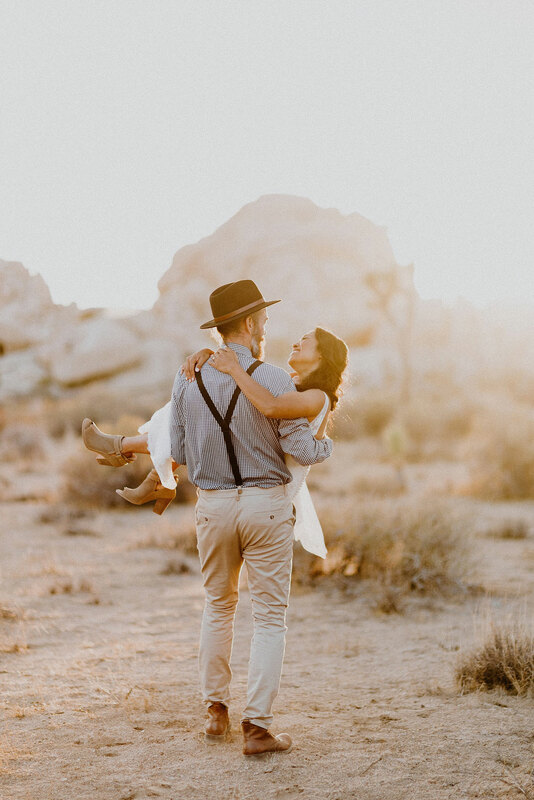 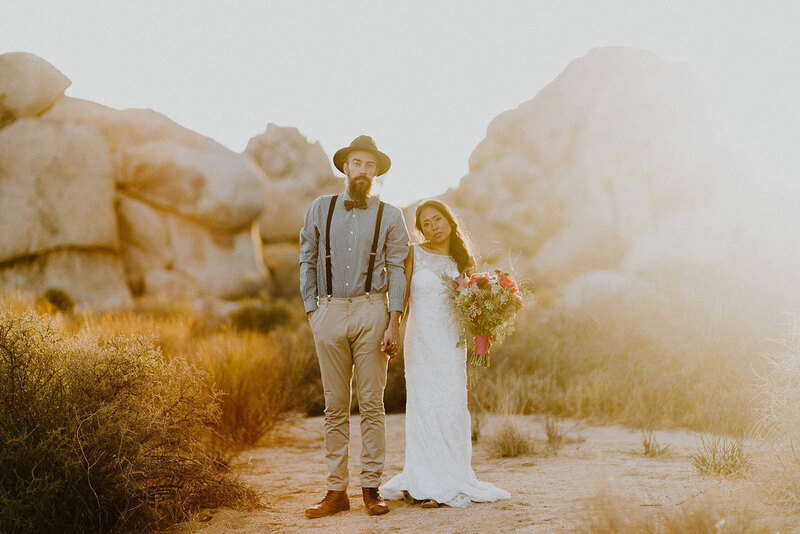 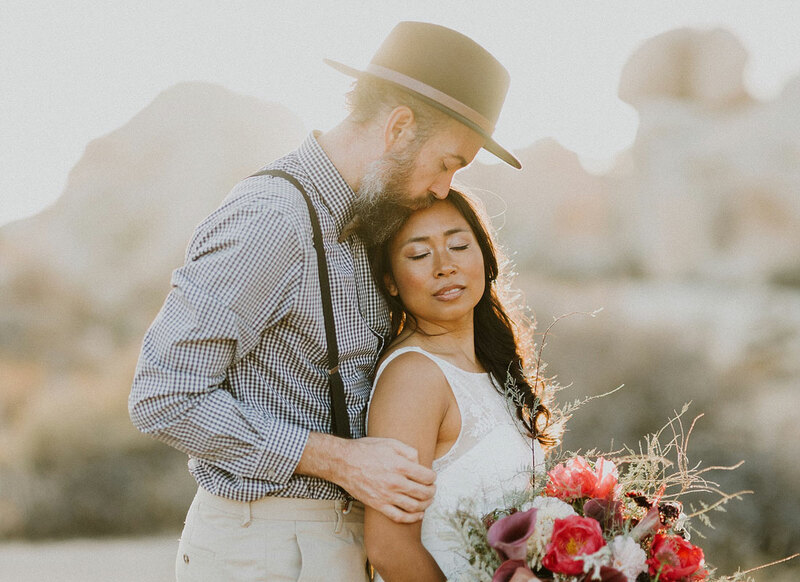 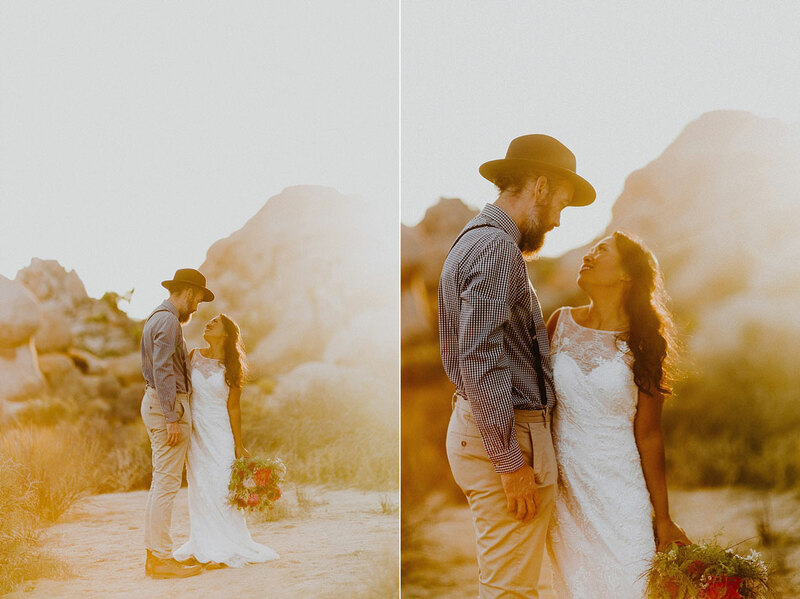 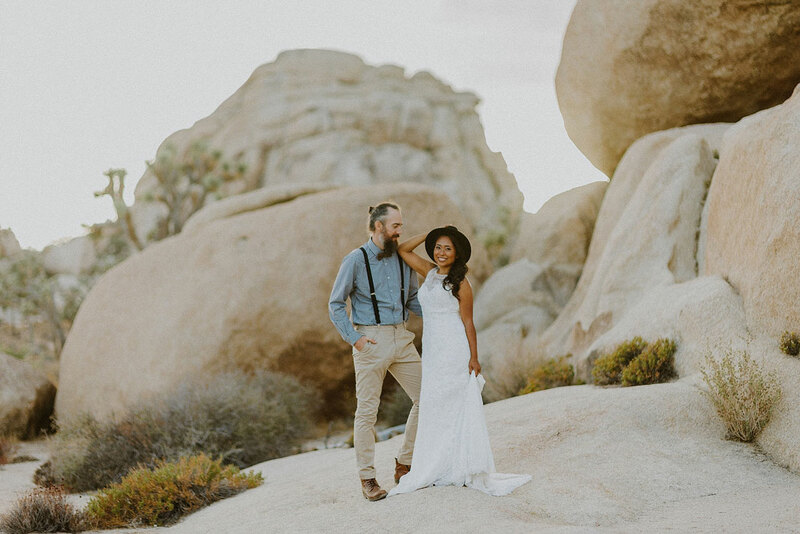 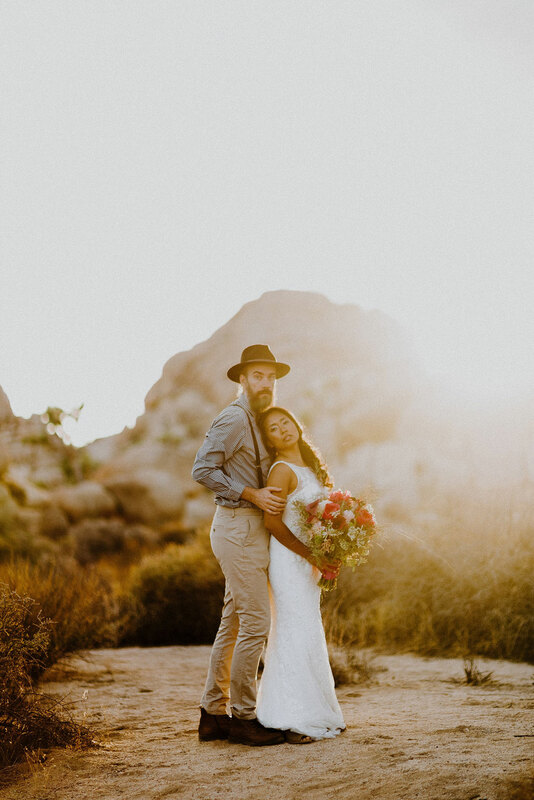 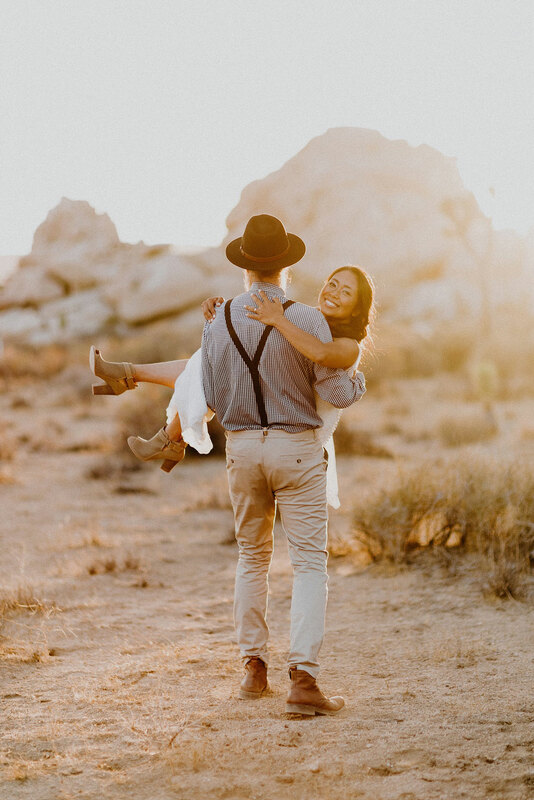 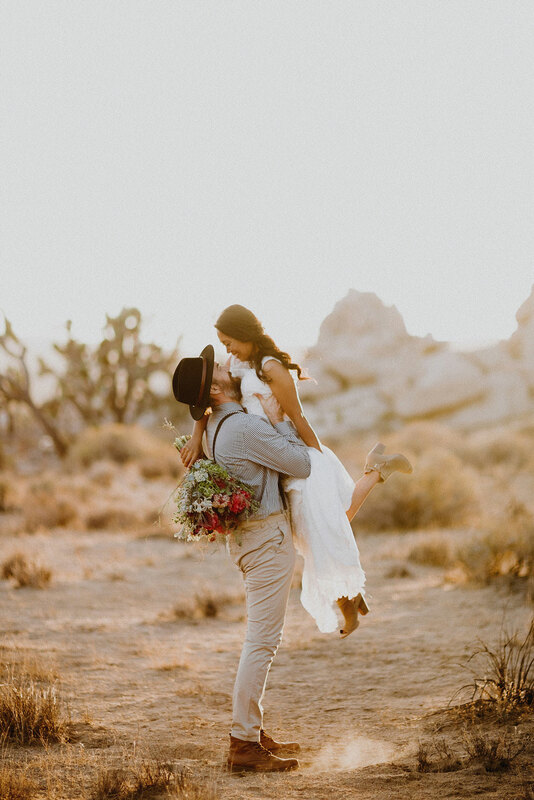 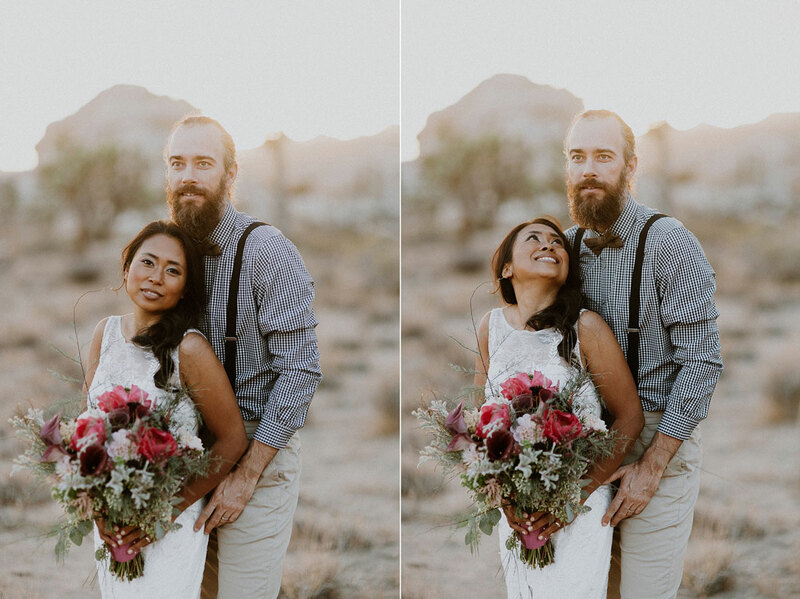 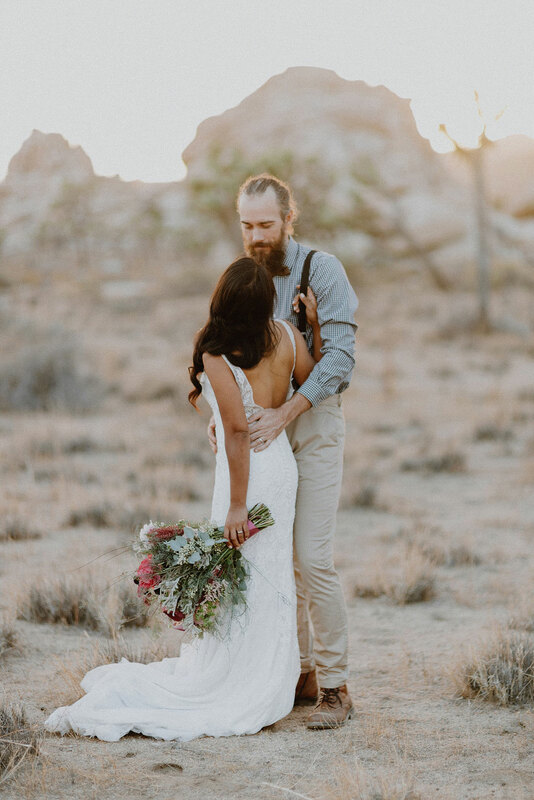 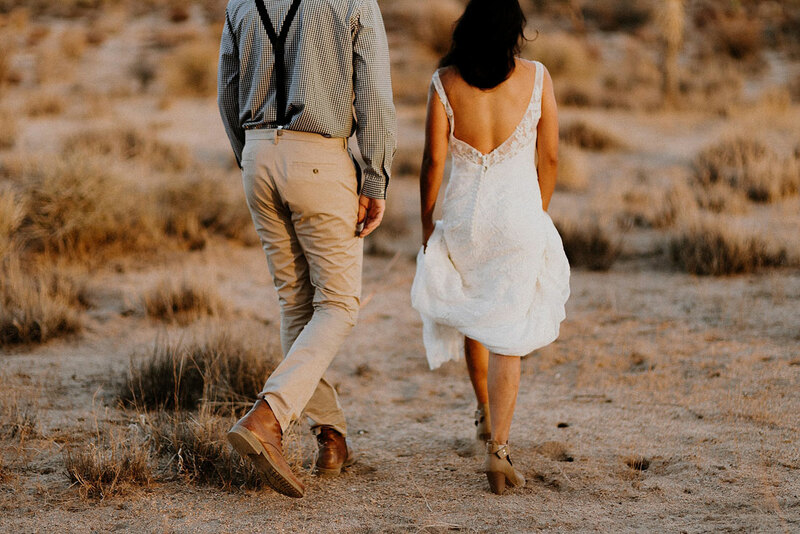 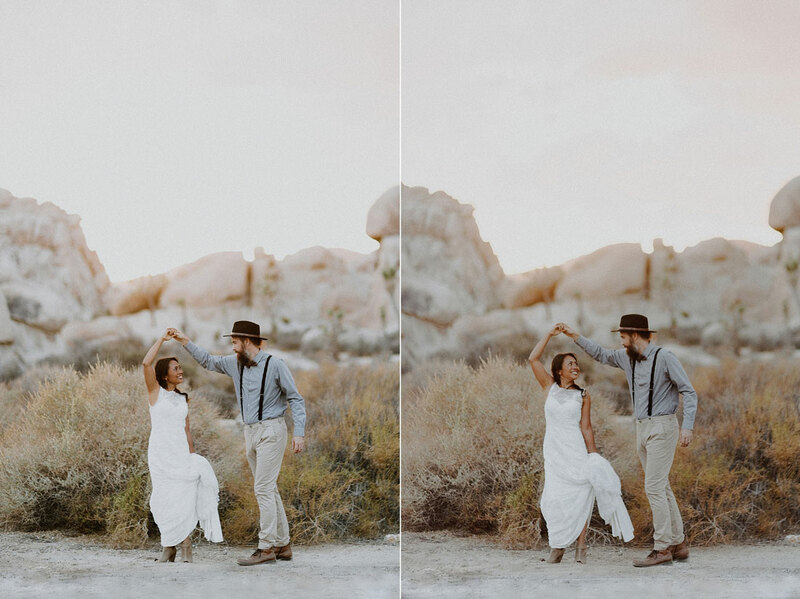 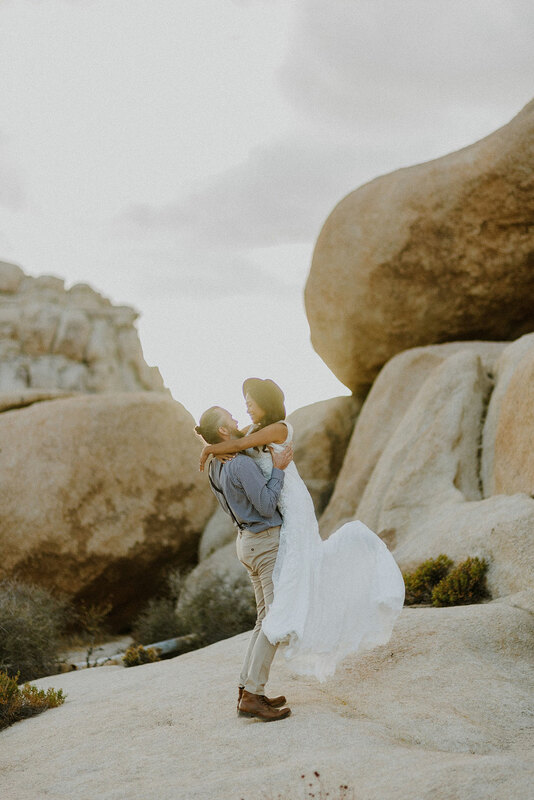 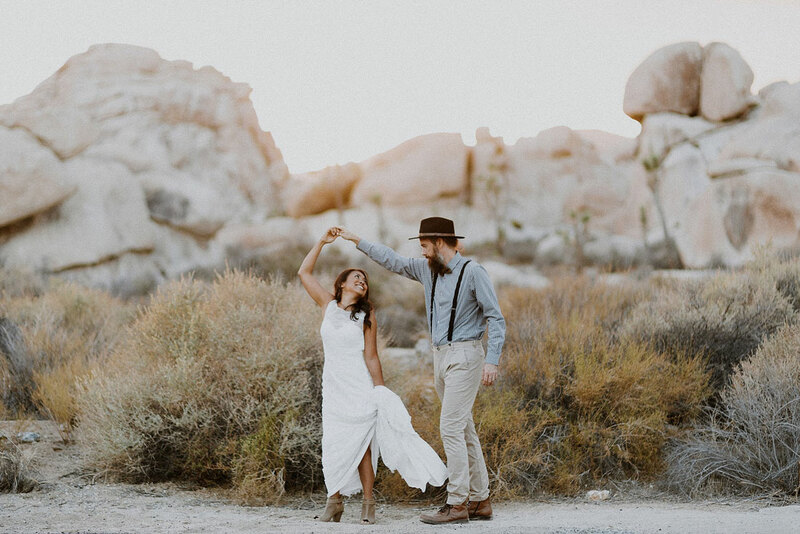 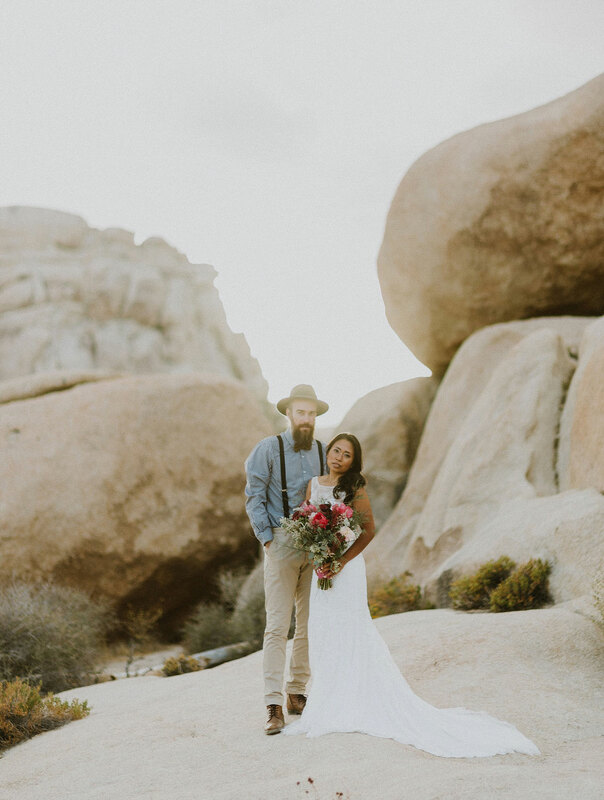 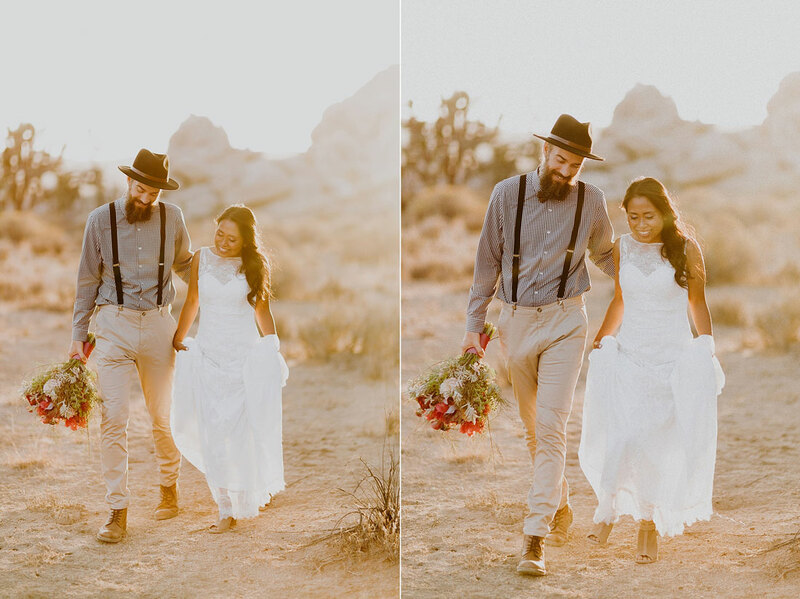 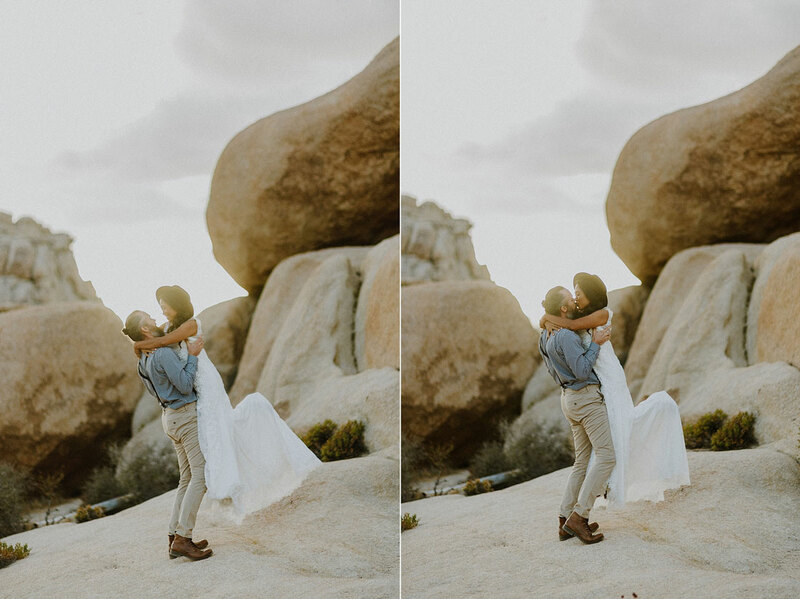 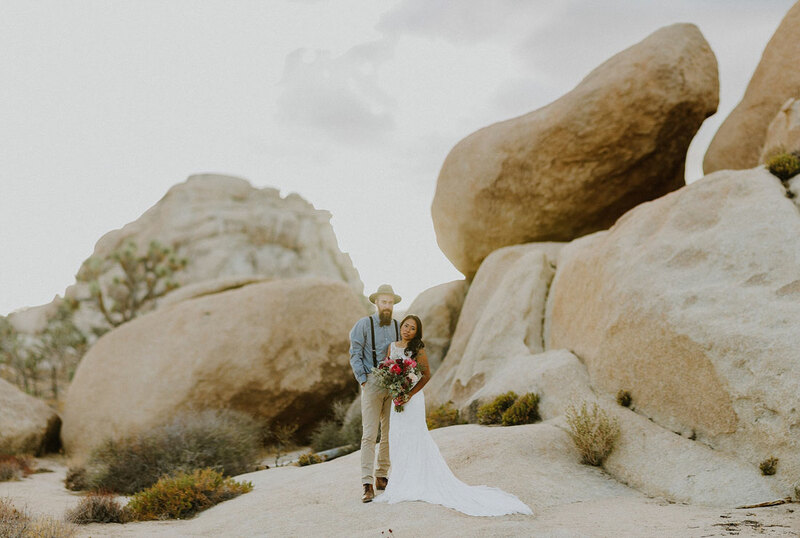 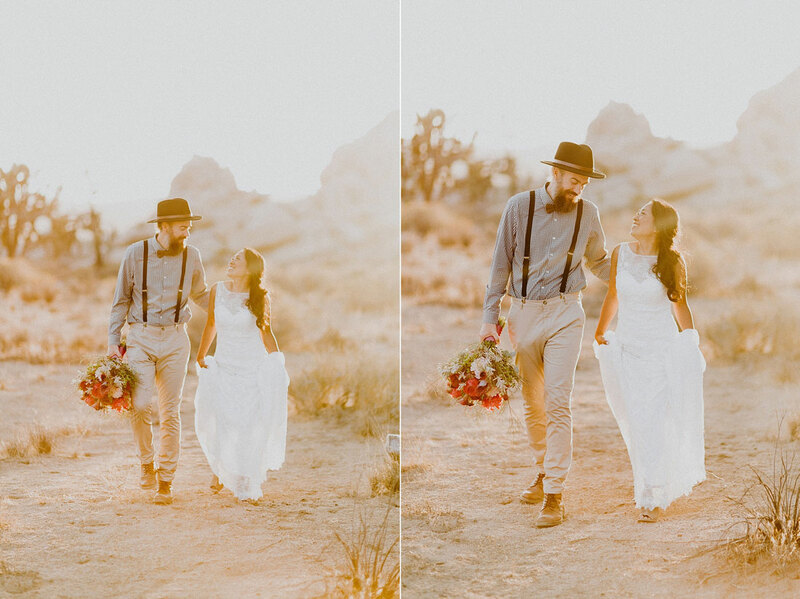 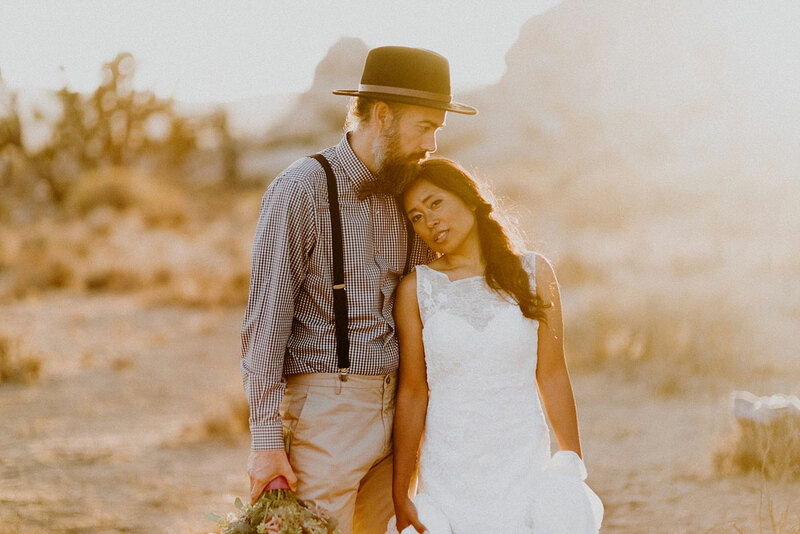 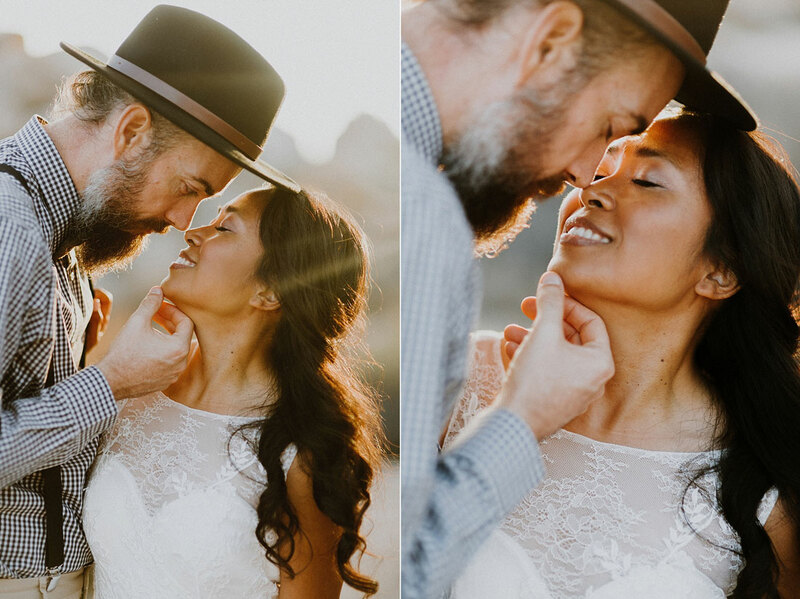 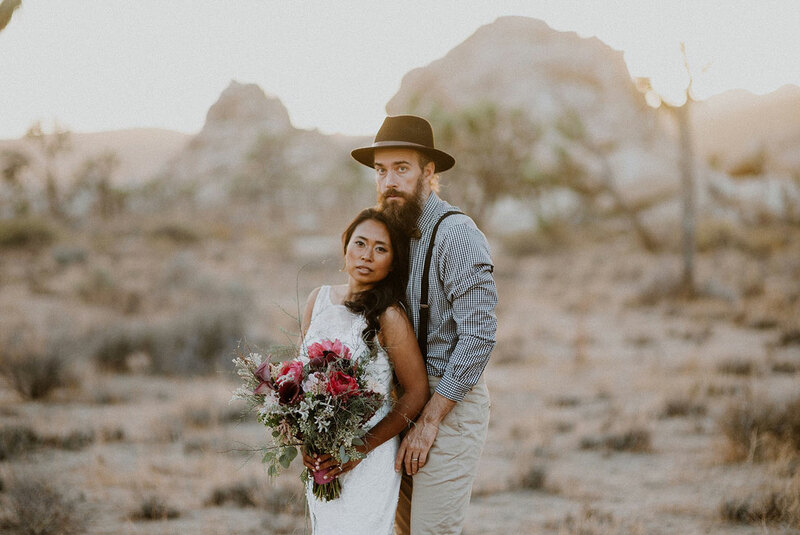 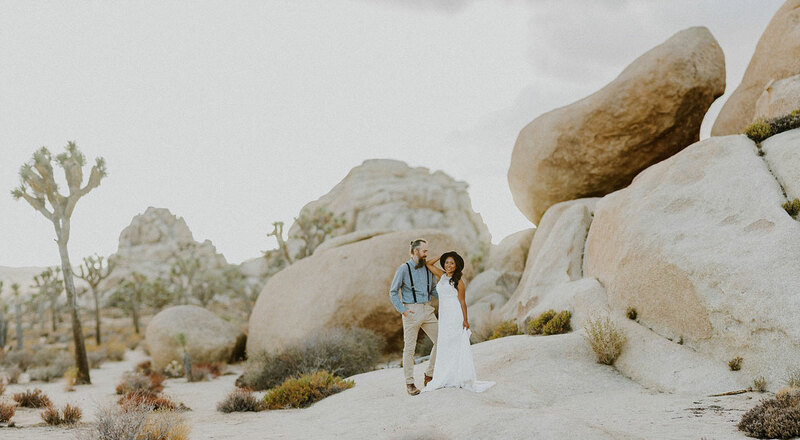 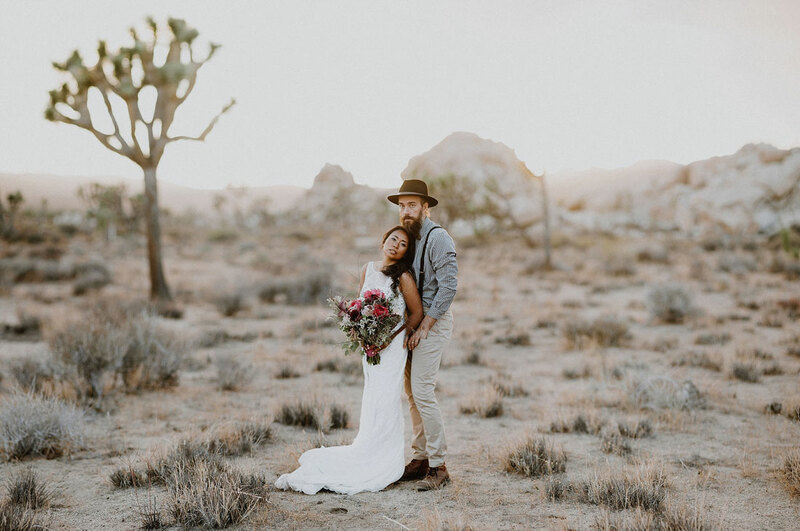 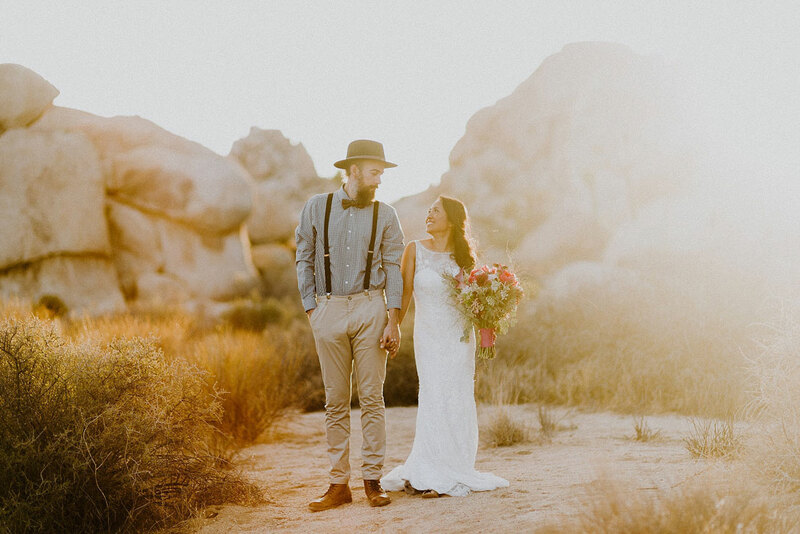 We planned the session for sunset in Joshua Tree National Park in Southern California. 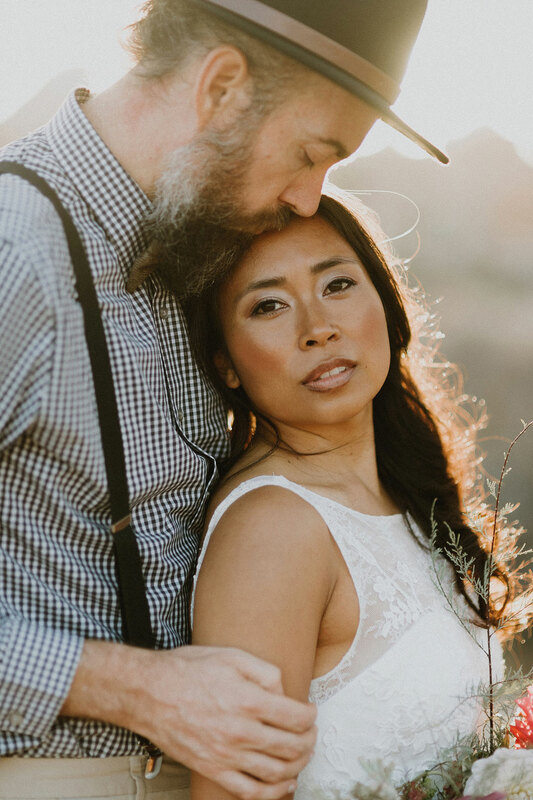 After driving around looking for the perfect spot to start the shoot, we finally found it on a flat plain sprinkled with trees and brush. 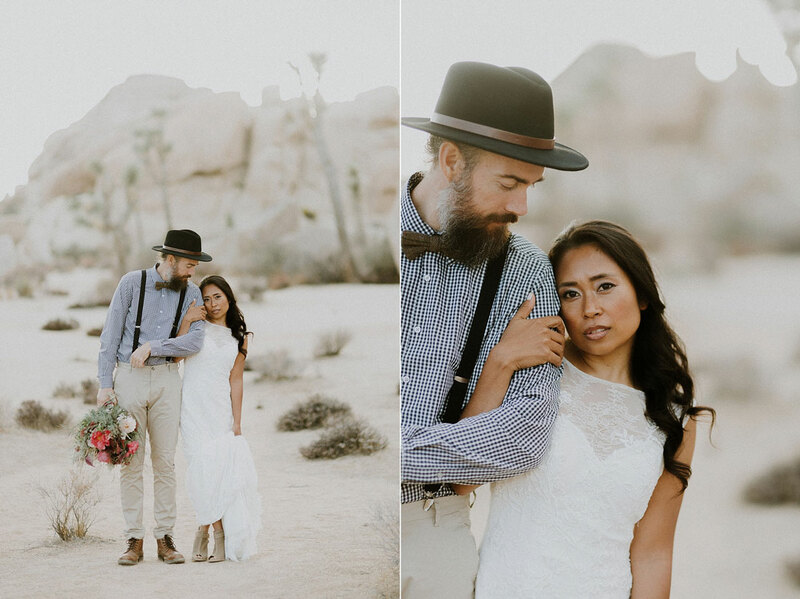 We ventured around the park from one scenic spot to another taking in the beauty of our surroundings, and the love between this couple. 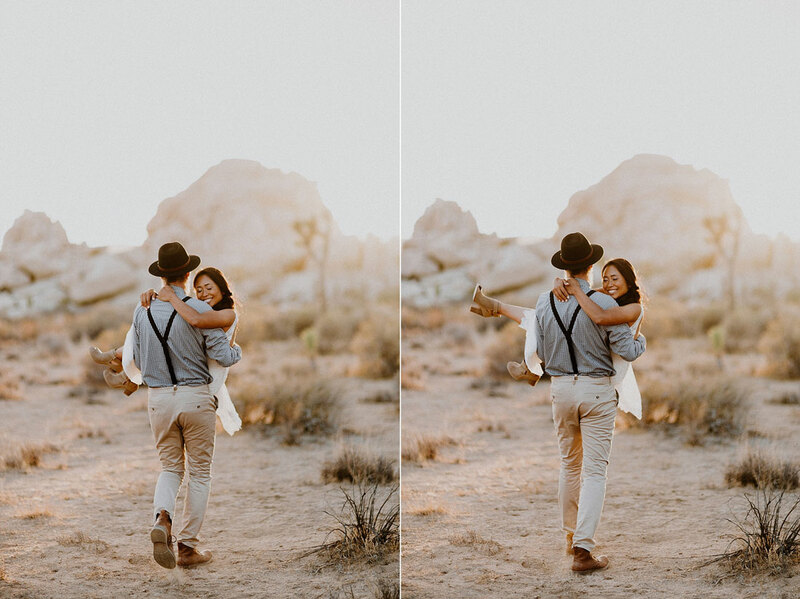 This wasn’t my first time shooting in the desert, but each time I go back I am astounded by how vast and beautiful it is, and how it makes a nearly perfect setting for photographs. 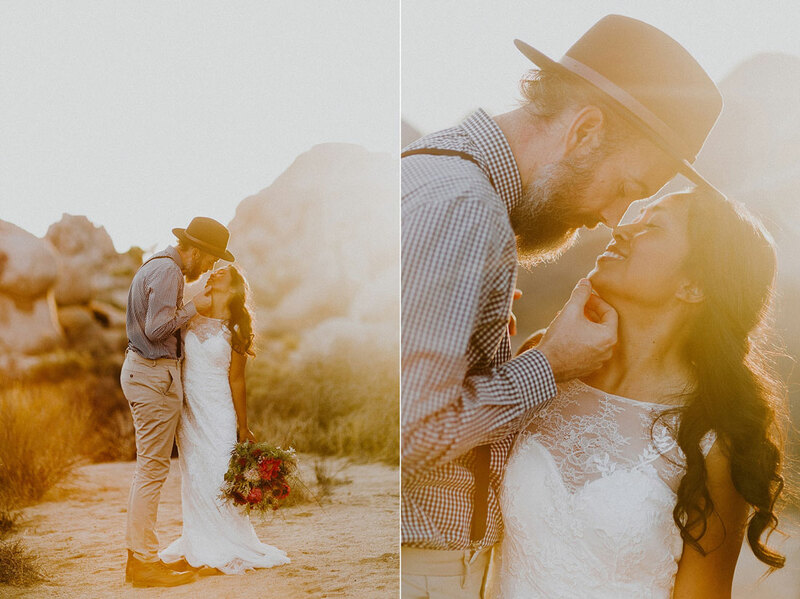 Bernadette and Fritz looked so at home traversing the rocky landscape under the golden glow of the setting sun. 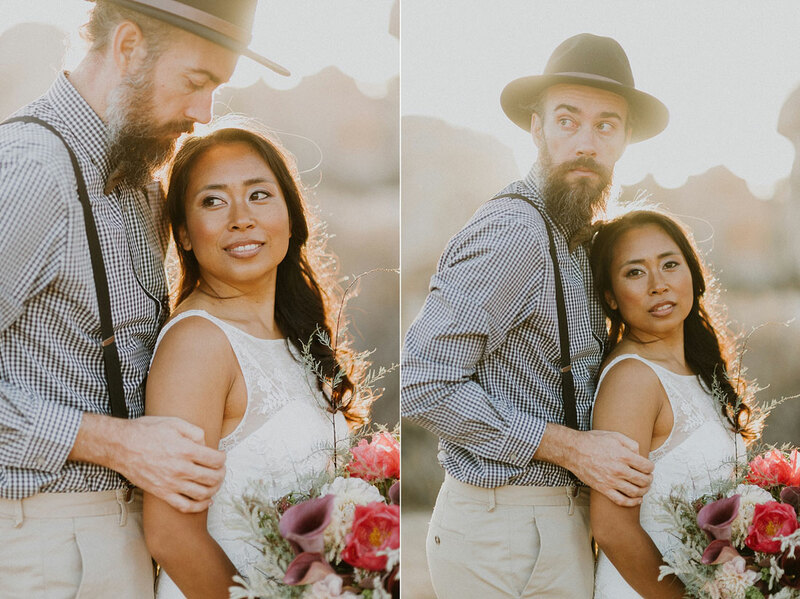 I especially loved how natural each photo felt as we were taking it, and how these guys were down for every single idea I had. 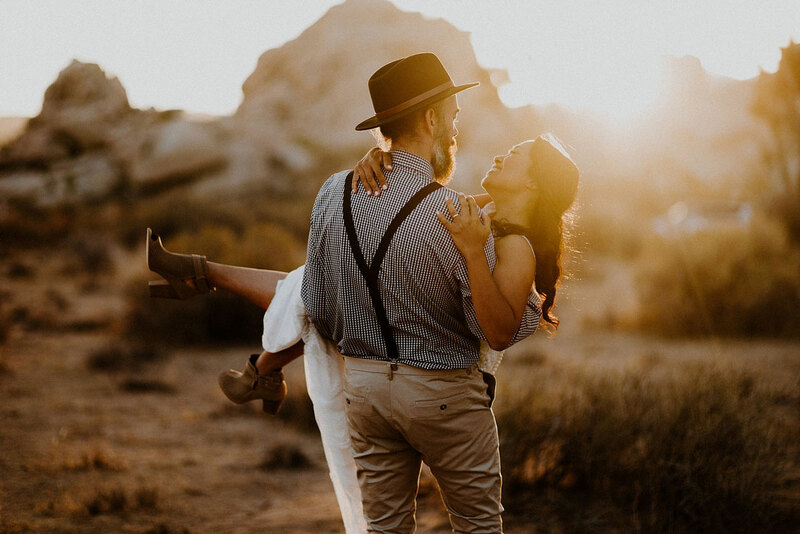 Their smiles say it all — finding your soulmate and spending your life with them is truly a gift to be cherished. 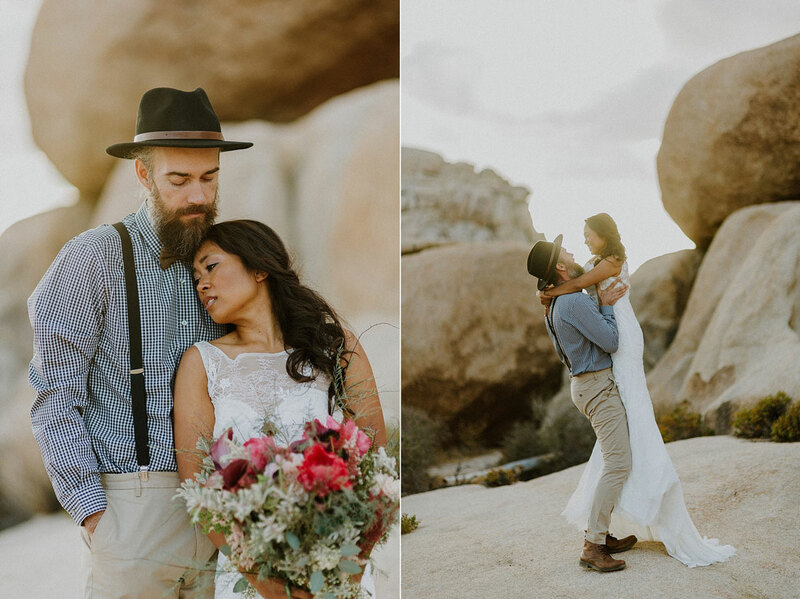 A very special shout out also goes to the amazingly talented vendors who helped make this session possible. 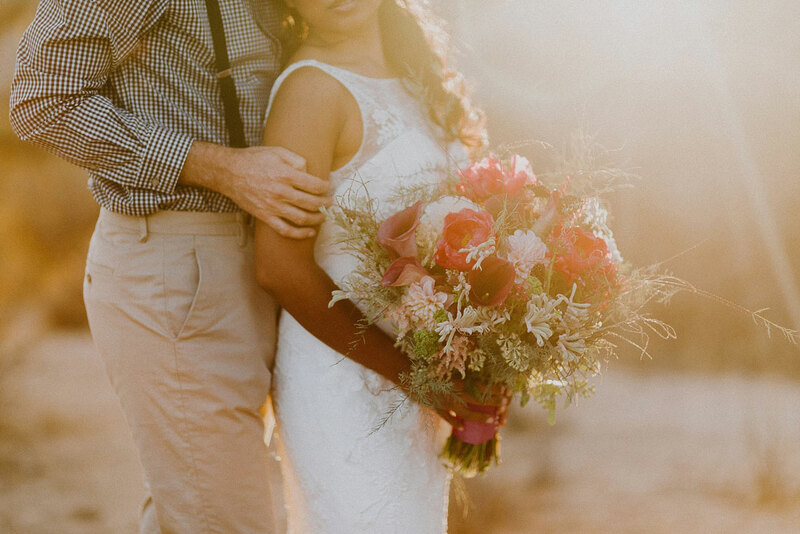 Thank you Vaso Bello for the stunning floral bouquet and Bridal Elegance Studio for providing the most jaw-dropping gown for Bernadette. 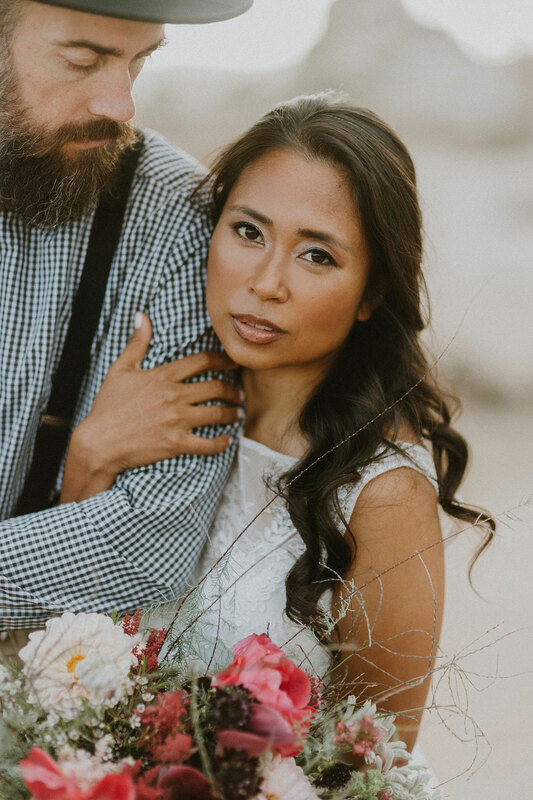 Also a big thank you to the brilliant talents of the Salon at Kindred Boheme for Bernadette’s hair styling and Brittany Laine for her work on makeup.